Four different coloured carrots are grown at Lovett Family Farms – orange, yellow, purple & white. Destined for Juice Products New Zealand to be turned into juice and puree in Timaru, South Canterbury, New Zealand. Carrots fit well into our operation, providing utilization of machinery, staff and facilities though out the season. Land preparation commences when it is dry enough after winter with the main planting starting in September. Harvest fires up in February and runs throughout winter and into September. 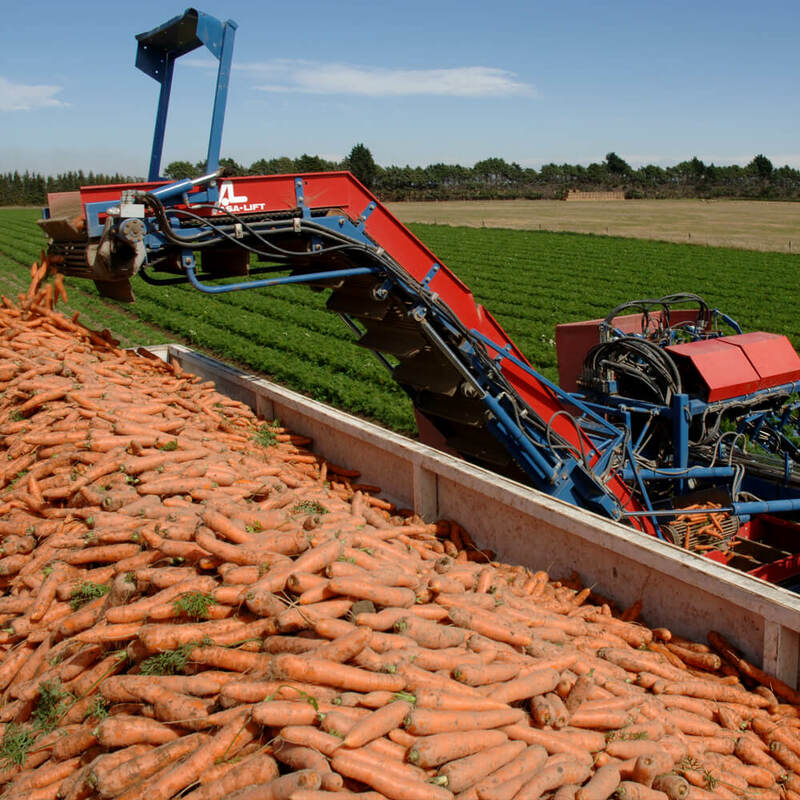 The carrots are dug fresh each day for JPNZ, providing excellent colour, Brix, and quality. We have a wash plant with capacity to wash 40T of carrots per hour, so we are delivering washed and forage material free product.